Having battled through two world wars, communist rule and severe persecution, Poland is a country with a fascinating history and culture, and home to some of the most resilient but friendly people you could wish to meet. There are so many places to discover, from Kraków to Gdańsk, but what better place to understand all that the country has to offer than in the capital. And that’s saying something, seeing as potatoes feature in almost every dish in Poland. At around 4 złoty per euro, and with a very low cost of living, you don’t have to fork out the big bucks to enjoy life in Warsaw. While there are some Polish dishes that can be avoided- sledz (pickled herring) for example is a personal hatred – it’s hard not to cram forkfuls of pierogi (sweet or savoury fried dumplings) in your mouth without even drawing breath. Their baked goods are also a must-try, especially sernik (cheesecake). Trust me, you’ll love it. It’s cheap, it’s great quality, it’s everywhere. ‘Nuff said. Can’t be bothered to drive four hours to get to the Baltic Sea? Just head to one of the beaches by the Vistula River to sink your feet into the sand, drink cocktails and play volleyball. Can’t say fairer than that. Łazienki, the largest park in Warsaw, has everything you’d ever need to escape city life for a few hours. 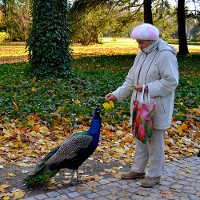 Do as the Varsovians do and spend a Sunday afternoon exploring the Palace on the Isle, or chilling with the squirrels and peacocks. Warsaw’s Old Town, with its countless monuments dating back as far as the 13th Century, gives you an amazing insight into the city’s past. The market square, one of the most picturesque areas of Warsaw, is the perfect place for drinking a cold piwo with your new local friends. 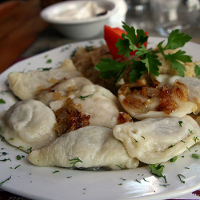 How could you say no to a cheap life filled with delicious dumplings and high-quality vodka? If you can handle the cold winters and the difficult language, you’re sure to have an amazing time. Already living in Poland, or making the big move soon? Check out our Poland guide on Just Landed!